With the discovery of penicillin and antibiotics, it is believed that infections resulting from tooth extractions and root canal work no longer cause diseases in other parts of the body. 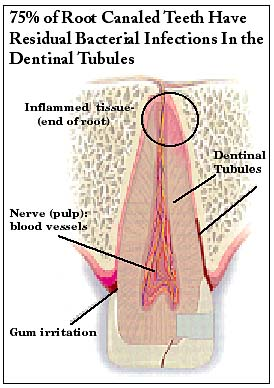 But, what if, I’m going to say that these are far from truth and the disturbing news is that the very existence of bacteria and microorganisms is never removed by antibiotics and other medicaments, and they become trapped inside the dentin tubules which make up 90% of our structure of the teeth? Alright, if this was to come out of me, it wasn’t much of a conviction. Fact is, this was the finding from an extensive research in which 5,000 animals were used and directed by the Dental Research Specialist, Weston A Price, as well as the American Dental Associate and its Research Institute. The studies clearly demonstrated how these bacteria, and their toxins, escaped into the circulation of the tooth’s surrounding bony socket, and how these organisms were also responsible for a high percentage of the chronic and degenerative disease conditions that are so epidemic today. The most frequent are heart and circulatory diseases. Next comes the diseases of the joints, arthritis and rheumatism. 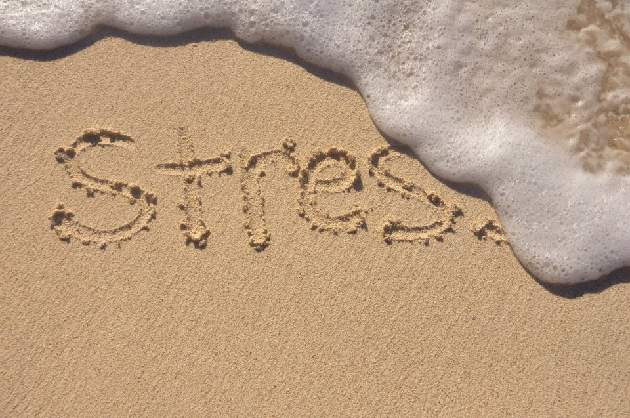 In third place – but almost tied for second – are diseases of the brain and nervous system. A reason why root canals have falsely been accepted as successful in terms of treatment of infected teeth is that 25% of the people who had their root canals done are free from trouble for a long duration. 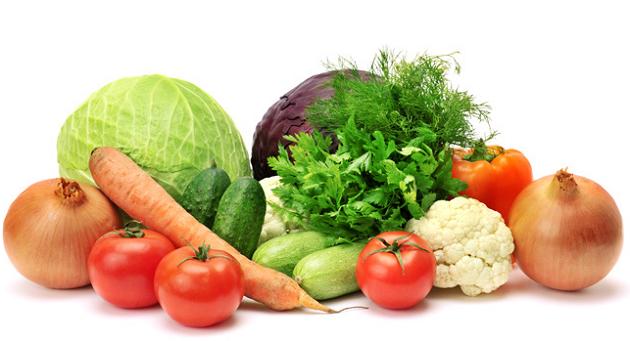 This is the group of people with excellent health and immune system. Do not forget about the other side of the pie, that is, the remaining 75% whom immune systems were or had been compromised by illnesses, stress, poor nutrition and other factors. This is the group of people who find themselves going on rounds and rounds of doctors’ visit trying to figure out the cause(s) of their problems, not knowing, of course, that the underlying causation is the infection coming from root canalled teeth, or teeth extraction or other foci of infection. Many patients, once confronted with root canals or teeth extractions being possible sources of illnesses, recalled how their Rheumatoid Arthritis (RA) seemingly began right after a root canal treatment or a tooth extraction. The cases were usually that when these infected gums were removed, many found their RA disappear. Shocked? Yes, I was in a series of shocks as I learned more on these cover-ups. There are more to come. It also seems that only a handful out of 2-3 thousands dentists even knew about Dr Price’s discoveries. Let me tell you the story slowly (but I won’t go in details into the anatomy of a tooth, though it is also another interesting aspect to know). Do read on. Dentists are taught that they had adequately kill any bacteria when performing a root canal, but little do they be aware that the medications used FAILED to penetrate into those tiny tubules far enough to kill them. Herein lies the problem. 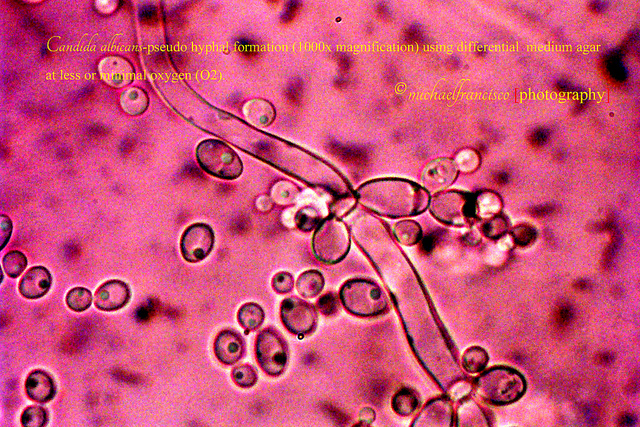 Hundreds of experiments showed NOT a single one of over 100 commonly used disinfectants could penetrate those tubules. Rebuttal: Bacteria are polymorphic. They can mutate and change form and are able to live under most severe, adverse conditions. Rebuttal: Bacteria has proven to readily escape from the lateral, accessory root canals in all teeth. The toxins formed by them can escape right through the cementum of the tooth (because the cementum is actually a semi-permeable membrane), and hence, easily accessible to the surrounding jaw bone and its blood supply. Dr Weston A Price was a dentist and researcher who traveled throughout the world to study teeth, bones and diets of native populations living without the benefits of modern food. He was treating a root canal infection for a patient who subsequently developed a severe case of arthritis in her hands and legs. He was aware of the usual process of how researchers, attempting to discover the cause of diseases, would isolate the bacteria, grow them in culture, and inject . organisms into animals to see if they could reproduce the disease and subsequently finding a cure. He did not then know that infection was in the tooth, but thinking along the line of how to discover the cause of disease, he convinced the patient, wheelchair bound for six years, to have her root canalled tooth extracted. He washed and bathed it in a disinfectant, then made a small incision in the skin of a rabbit, inserted the extracted tooth, and stitched it in place. In just two days, the rabbit’s limbs developed the same arthritic swelling as the patient’s and in ten days, it died from infection coming from that tooth. But the woman, now free of toxic tooth, immediately recovered from her arthritis and could now walk even without the assistance of a cane. Again, he experimented in similar manner with all those patients he came across with different diseases and obtained the same results. He concluded that it’s mechanically impossible to sterilize a root canalled or root filled tooth. The focal infection theory states that germs and bacteria from a central focal infection e.g. teeth, inflammed gum tissues or maybe roots, metastasize to hearts, eyes, lungs, glands, tissues and any other organs, establishing new areas of same infection. Well, this is hardly theory anymore, because it has been proven and demonstrated over time. 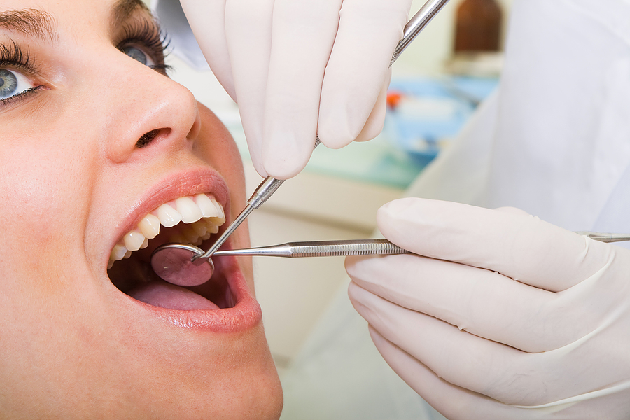 Dentists often treat the teeth as if they are isolated or disconnected from the rest of the body, but they are just as much a part of the body as any of our organs. So, anything that affects the teeth can have an effect on the entire body. Not hard to understand, isn’t it? 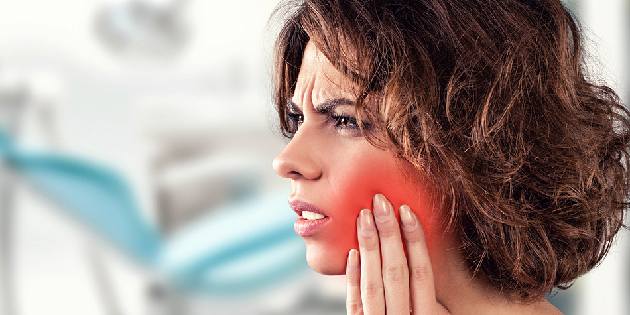 An effect of oral infection is a change in blood chemistry, calcium levels, red and white blood cell counts, pH balance, blood sugar, coagulation time and a host of inflammation markers are also affected. The blood may become more acidic, glucose level may increase and red blood cells may decline in numbers. Normal uric acid levels may also be disrupted by dental infections. And a bigger problem lies with the toxins that they produce. The release of toxins that drain into the blood stream is slowly poisoning the body. Certain tissues like our joints, may be highly sensitive to these toxins and will be first to react. Therefore, it does not need the bacteria to be present in these tissues to notice joint pains at all. An oral infection from Porphyromonas gingivalis (P.gingivalis) is a recognized risk factor for RA. A number of oral bacteria have also been found in the blood and synovial fluid of patients inflicted with RA. The presence of oral bacteria in the blood and joint fluids indicated that the bacteria migrated from the mouth, through the bloodstream, and into the joints where they are trapped and initiate the series of events that led to the symptoms characteristics of various forms of arthritis. Studies also showed that people with gum diseases are 8 times more likely than general population to develop RA. People with arthritis are also more likely to have gum disease and missing teeth. Numerous studies also confirmed a close relationship between periodontal disease and RA as well as JRA. The disease processes in both arthritis and gum disease are very similar. They are both characterized by self sustaining inflammation in a fluid-filled compartment adjacent to bone, in which inflammatory cells and other factors lead to common expression of pain, swelling and tenderness. They also share the same expression of the disease. 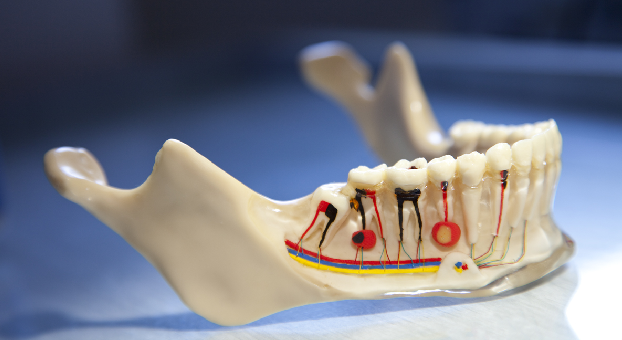 The tooth and socket comprise a joint, just as the vertebrae or elbow form joints. Oral bacteria that cause gum disease produce the same autoimmune markers in the blood that characterize RA. I totally think that oral or dental health deserves as much attention as other topics in terms of health care and wellness discussion. Bulk of evidence has pointed to the high levels of circulating bacteria and its endotoxins that could travel through the mucosa to other organs in the body and cause harm. 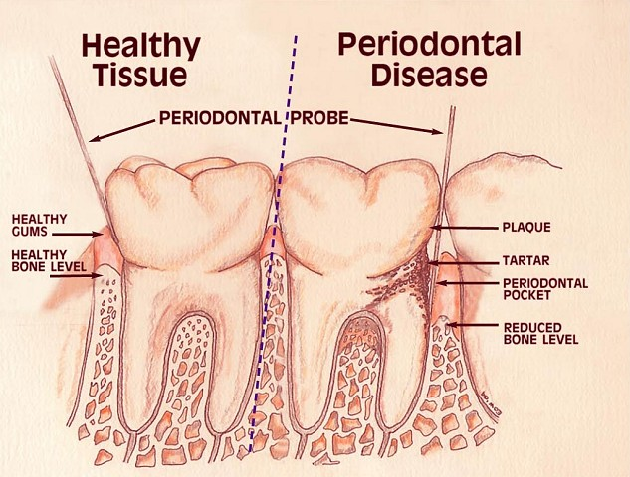 The way I see it, periodontal disease is essentially the arthritis of the teeth. The teeth just happen to be located in an environment that is inherently infested with bacteria, i.e. our mouths. If oral infection does cause a person’s RA, then a possible treatment would be to address the dental issues. If we remove the source or focus of infection from the mouth, then the body will become more capable of fighting the remaining infection in the rest of the body. P.s. For more information, you may wish to check out The Weston A. Price Foundation for Wise Traditions in Food, Farming, and the Healing Arts. What are your thoughts of this article? Can you relate? Or do you not agree, if so, please share why. I’d like to know your thoughts. It makes sense. Is the only solution to have the teeth totally removed if you have a root canal? I just had my front tooth which I had root canal on removed and replaced with an implant (process took over a year to complete). This is expensive. I have other root canals and have had problems with gum infections. I get my teeth cleaned every 3 months because of these issues. Right now the gums are healthy. At one time I had read or had been told that the health of your mouth is a direct reflection of the health of your stomach… which is basically your immune system. I find it interesting yet, I have more questions than answers on how to heal. Other than oil pulling with VCO, taking out the root canal is the next option. I’m not quite sure where the developments are in dentistry with regards to alternatives for root canal, the best way to find out would be to check it out with a biological dentist. I’d also love to know more on ‘how’; and unfortunately, I do not have access to resources to begin with. That said, I do hope you get your answer from your functional rheumy. Hope to hear from you again, Vera. I had a root canal in May of 2014 which still has some feeling of discomfort. I was also diagnosed woth RA in October of 2014. I am 74 years old. My RA is not responding to methotrexate treatment. Any suggestions? And what is a functional rheumatologist? Actually, I had two root canals on the same side in a period of probably less than two years! Look into the book, The New Arthritis Breakthrough as well as http://www.rheumatic.org. The FAQ is a good place to start there. I have been following this protocol and was in remission from RA until I hit menopause. Interesting. I had two teeth pulled a month ago and now for the last three weeks I feel horrible! I wake up and can’t move my fingers or lift my arms more than a few inches because my shoulders hurt! My knees are sore as well as my feet and my poor wrists hurt so bad! I have been trying everything and just got testes for lupus an RA. They both run in my family. But I felt that this pain came from my teeth being taken out and when I mention it no one believes me! So, it is nice to know there is a connection, do you have any suggestions on how to get better? I just made some remineralizing toothpaste and am cutting sugar from my diet. I am taking iodine(for hashimotoes)vit. D, vit. B complex, magnisum, vit. C, selenium, zinc and blackstrap molasses (for iron). Anyway,thanks for the article,if you have any or information or can point me in the right direction that would. E great! I just turned 78.Have had RA since I was 19. I was managing the RA ok until 6 wks. ago I had 5 bad teeth extracted. Now my RA is so bad I can hardly move. Any suggestions on how to feel better are welcome. 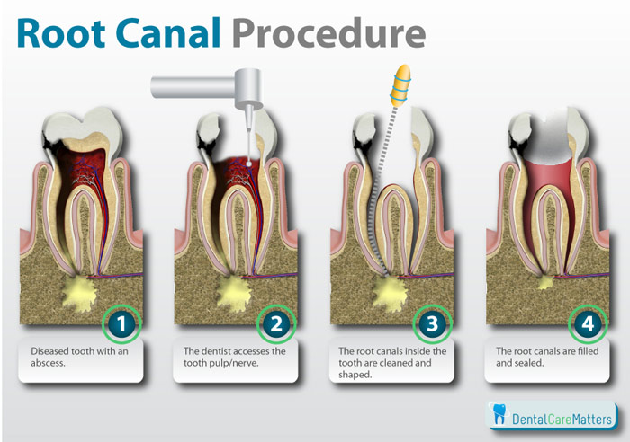 I was diagnosed with RA Feb 2015…removed infected root canal Dec 2015….my health IMMEDIATLY returned My advice just get rid of your root canal teeth if you have RA. Best wishes to all. Dear Eileen, your recovery post removal of root canal is encouraging. Thanks for sharing your story. Hugs, Diana. Thanks Diana, I have been told last Monday by rheumatology it was reactive arthritis to the infected root canal and will not return as the infection is gone. I continue to feel fantastic every day. Bear in mind I was in agony was on steroids metatrexate and vimovo abd had a life threatening gi bleed. Tooth out my health recovered immediately. Hugs to all. Hi thanks for sharing.. How ru feeling now.. Ru completely free from ra? Pls let me know as I’m suffering from 2014 had root canal done in 2012. Did you have your regular dentist remove your root canal tooth or did you use a biological dentist? Who did you use? Any precautions you would share? I have had gastric bypass and knee replacement for a trauma injury, both some years ago. No root canals but many crowns. I have noticed increased arthritis pain with the past several teeth cleanings. My previous dentist always checked for pre- cleaning antibiotics , however, he left the area and my present dentist does not prescribe them or check. I have forgotten the past several times also. Three weeks ago my teeth were cleaned and for the past 10-14 days I have had severe knee pain with knee effusions developing. I can barely walk. In addition, I’m aching and stiff all over and have a tender elbow and shoulder. I believe that bacteria from the cleaning are causing this difficulty. What can I do at this time to alleviate the inflammation and pain flare? I can’t take NSAIDs or narcotic analgesics because of side-effects from the gastric bypass. Tylenol is not helping much. I am 92 years old, I have had periodontal disease for years, many root canals. recently had all my upper teeth extracted they were breaking apart. My arthritic hands & arms are worsening. Lately I have realized all this was caused from Dental issues. I wished I would have adhered to better dental hygiene now. I had a root canal procedure carried out a couple of years ago, and although things seemed fine for a while, it flared up again, earlier this summer. My dentist informed me that removing the filling and re-doing it, only had a 60-65% success rate, but I endeavoured to try again. In the meantime, I’ve had very sore knees, for about 6 months. Stiffness, soreness, swelling, fluid filled, at times. Although I am a 59 year old male, I’ve always been fit and active, and still play singles tennis at least a couple of times a week. I’ve been icing my knees, nightly, to relieve the pain. Anyway, – a couple of days ago, I was back at the dentist, to have the next batch of root canal treatment after having treatment and a temporary filling, carried out in early July. I told my dentist, that my gums were still tender, and I felt that there was some infection still there. On inspection, he discovered that the tooth had totally fractured, and the only outcome, was the removal of the tooth. As I am going on holiday next week, he resolved to do it there and then, to give me a weeks recovery, before I went on holiday. This was carried out 2 days ago. When I awoke yesterday morning, the first thing I noticed, was that my knees were feeling OK. As the day went on, they felt better and better. It was today that I thought I would put my findings into a search engine, and see if there was any possible link. When I found your posting, it fitted perfectly to my situation, and I am amazed!! Can’t wait until Saturday, to get back out on the tennis court! 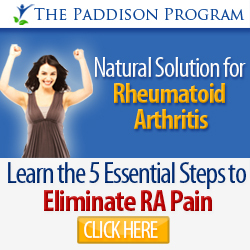 I have had rheumatoid arthritis for30 years. I inherited the tendency from my father. He was severely crippled with the disease. My RA was quiescent for the last 30years, but I had a tooth extraction done by a dentist who used a thin bladed instrument that he vibrated extensively to loosen the tooth before removal. The next day I could not open my mouth because of the pain in the left mandible joint. I thought it had been displaced. I think it was an immediate infection from this extraction that has caused me to have severe arthritis pain since the extraction. I am a retired dentist, and I never had observed this in any of my patients following surgery. First Thank you to The Road Back Fondation for the ongoing information,current study access and for providing a platform for us to share. I’m concerned about my oral care. I was misdiagnosed in my early 30s by a dentist and perodontist for the extreme pain in my upper left cheek bone. First I went to the dentist, with C/O severe pain HA and difficulty chewing. After cleaning, x-ray and oral exam, she said that I have a very small cavity in my upper molar and I’m probably just very sensitive. Okay so she filled the small cavity. After the lidocaine wore off ,back to extreme pain. Followed up with her the next day. She checked ,re x-rayed and she said everything checked out with her work. She then referred me to a perodontist right away. The next day I’m being x-rayed and scanned in pain I would rate as a constant 8. He did a root canal and then told me that it was healthy . After the local anesthesia wore off BAM ! Dauladid barely took the edge off what now felt worsening pain . I went back , he xrayed, examined and said that he’ll have to remove the whole tooth ! A perfectly strong molar. So strong that it took him almost 2 hours leaving black and blue, swollen and traumatized. At this point I felt and looked like someone hit my jaw,eye and ear with a bat. The perodontist said that my pain couldn’t be from a tooth that wasn’t there and dismissed me. One of my best friends had just become a dental hygienist, I came home from college and told her what happened and how I was still suffering. She got me right in to the dentist she worked with. He got my records and examined me. He had me lean forward, which I knew would hurt because of how I’d have to avoid it trying to function. He told me that he was sorry because I had a pretty severe sinus infection and everything I went through was for not. This was the second severe sinus infection ,the first severe sinusitis I was 14 yrs old. I’ve had many more since then. Something changed in my body after the very first one. Now 51yrs.immunocompromised with RA ,microplasma pneumonia, Fibro cystic disease, CFS,Fibro Myalga and many other health issues. It certainly makes me want to be seen by a bio-dentist. How can I find one. Would someone please help start a list? Praying for all of us. I would like to mention, I had knee surgery 4 years ago, and developed RA within a couple of weeks after. I have also met 4 other people who had the exact surgery on their knees and also developed RA within a couple of weeks after surgery, is this a coincidence or what??? I also have had root canals many years ago, but only after the knee surgery did the RA develop. I can believe that infection remains and should be treated with antibiotics to ensure it is gone when a root canal is done. I also think that harming a poor rabbit to prove what is obvious is a terrible thing to do. Animals should NEVER be used in this way. All such experimentation is very wrong. Especially nowadays as there are so many alternatives. We cannot and must not put human animals before other species. Blood results negative for rheumatoid factor, however whenever I have an dental abscess I suffer from the most painful debilitating polyarthritis in large/small joints. As soon as I take antibiotics and/or have the necessary dental work, it disappears and I’m back to full health. I have had infection in my gums and teeth and been fighting it for a long time now and also just lately developed severe arthritis in my fingers not knowing the connection between the two. Just 2 days ago I had all my teeth pulled to get dentures because my mouth was full of infection and broken teeth.I noticed an immediate change in my fingers and can move them now…it is unbelievable the change in them.I totally believe this to be true. Has this claim about the “semi-permeable” dental membrane been proven? My doctors and dentist don’t believe that an antibiotic can’t reach the infection, yet the infection can reach the bloodstream. The doctors also claim that infection would have shown in blood testing or would have abscessed by now since I’ve had pain for so many years. Yet my dentist thinks he sees bacterial infection at the top of my root canal from years ago. He says it’s close to my sinus cavity. Could my RA diagnosis be wrong all along? Or could a dental infection be the possible reason none of the RA drugs work? I’m lost. All I can say is ‘Wow Wow Wow!!! I had no idea!!! This could be the root of All my mysterious illnesses that no doctor can find. Makes So Much Sense!!!! Thank you for this eye opening article!!! What about having wisdom teeth removed? Good or bad? I’ve been recently diagnosed with sero-negative RA and I have a partially impacted wisdom tooth that my dentist keeps bugging me to get removed. The oral surgeon didn’t see any urgency in having it removed immediately but felt like it was the right course to eventually take since it has a very small cavity and is causing a small degree of inflammation in the gum. However, he didn’t see any sign of infection. Would removing it be a good thing or could it cause bacteria to spread and possible worsen my RA?